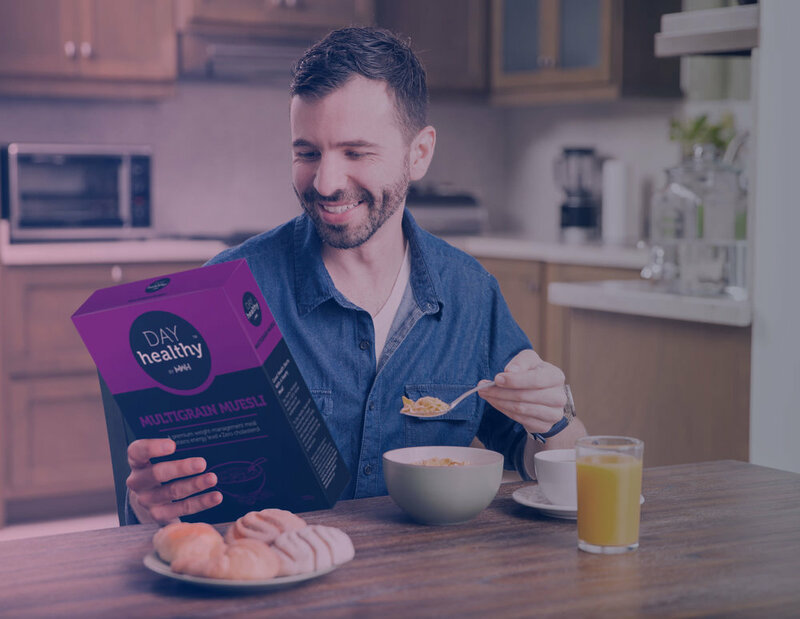 Day Healthy is an all-natural, health food brand from UK that partnered with us to build their Brand Identity. The challenge was to make the identity globally appealing, whilst evoking natural and organic feel. We rose to the challenge, and defined the Brand Proposition that embodied essence of nature. The Brand Strategy was then translated into a clear visual and verbal expression across touch points. After deep psychographic and ethnographic studies for European and American markets, we deduced the Brand Identity should not be too direct, and should not depict Day or Healthy. The logo was crafted with a fresh, contemporary look - limited to Black & White - and designed to complement with bright, vivid colours of the Brand Identity. The vivid palette of the identity evoke the taste and freshness of its products. The Packaging Architecture was designed to be simplistic and effective. The strong typography system allows the brand to express clearly and inspire consumer behaviour. Each product variant owns a specific colour adding to the experience and association. We created this understated Identity with a timeless touch, ultimately offering an enduring brand experience that the world is ready to recognise.